November is here which means Thanksgiving is close! It is a holiday is all about family, football, and, of course, FOOD! 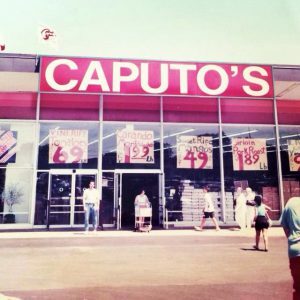 Thanksgiving and food go hand in hand, and at Caputo’s, food is what we know! We can make your Thanksgiving Feast as easy as possible so you can take the time to relax and enjoy this holiday with your loved ones. Let us do the work this Thanksgiving! Thanksgiving is supposed to be a relaxing holiday filled with delicious food, but it can get stressful for the cook and the host. Being stuck in the kitchen and not getting to fully enjoy the time with good company takes away from the essence of Thanksgiving. 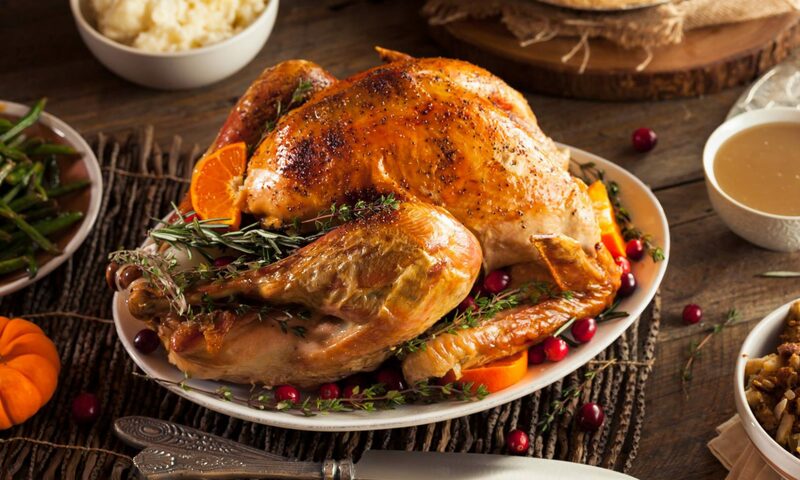 We want you to enjoy all the aspects of Thanksgiving, so we will do the cooking for you! 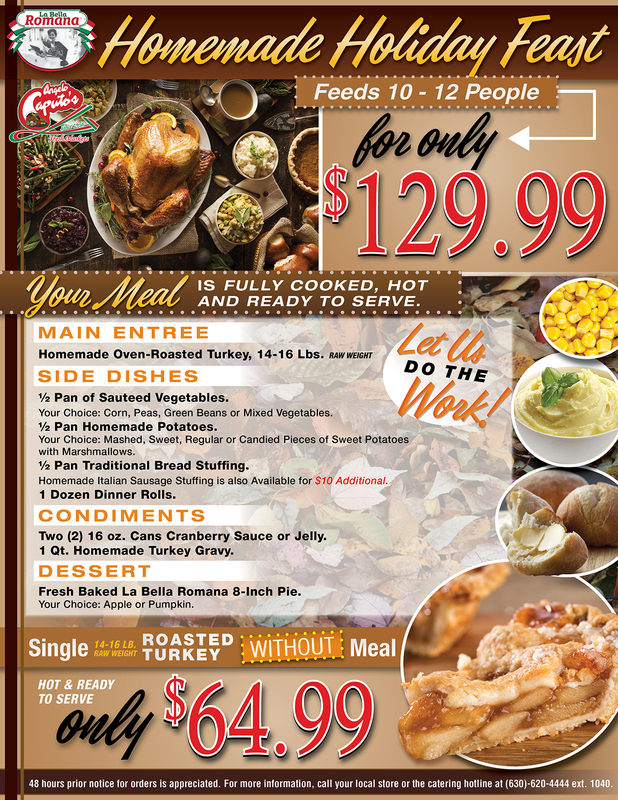 We offer a full feast that will make your guests full and make your Thanksgiving easier! Our homemade feast feeds 10-12 people. Our feast is made the same way you would at home! We use all natural foods, no preservatives, and the special touch that only comes with homemade food. The feast includes a homemade, 14-16lb, oven roasted turkey. You will get three sides–a half pan of sauteed vegetables, a half pan of homemade potatoes, a half pan of traditional bread stuffing– and a dozen dinner rolls. The sides are customizable! 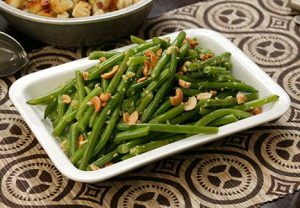 You can choose what vegetables and potatoes you want from our variety of options. You can also upgrade your stuffing and try out our italian sausage stuffing! 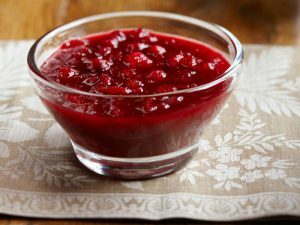 You will also get cranberry sauce or jelly and gravy. No feast is complete without dessert and no Thanksgiving is complete without pie! 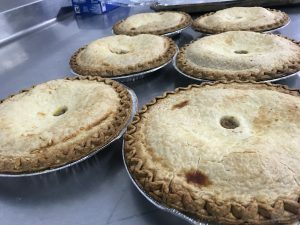 You will get a fresh baked 8-inch La Bella Romana pie, your choice of apple or pumpkin! All items come hot, fully cooked, and ready to serve! You can get all of this for only $129.99! 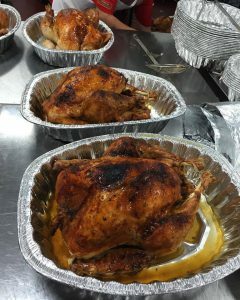 We also offer just the turkey without the full meal for only $64.99! We will be featuring all the menu options in-store on November 10th and 11th from 12pm-6pm. You can stop by any location and sample the menu options at our holiday showcase! 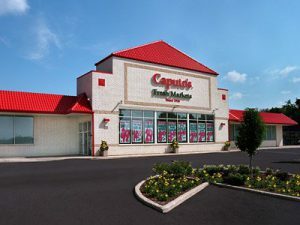 60 years ago, Angelo Caputo’s Fresh market opened up in Elmwood Park. 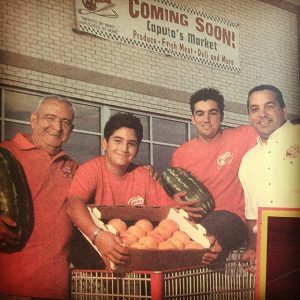 What started as a little produce stand has since grown to seven locations throughout the suburbs of Chicago. Our second location was in Addison. 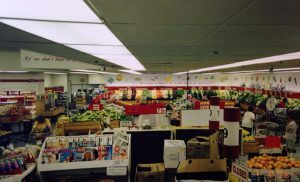 Our Addison store has undergone many changes– opening in 1991, moving in 2001, and most recently adding a new addition to the store. 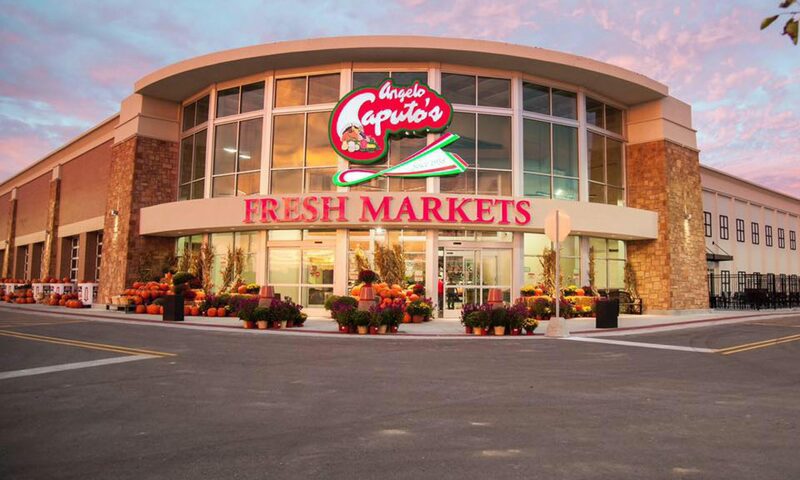 In 1991 Angelo Caputo’s Fresh Markets expanded to its second location in Addison, Illinois. 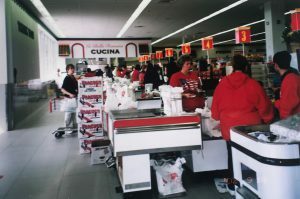 The italian community that populated the city was moving out towards the western suburbs, making Addison the ideal location for our second store. 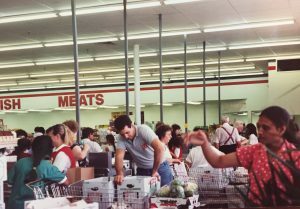 We opened at 240 W Lake St in a 20,000 square foot store, a store that was double the size of our original location in Elmwood Park at the time! Ten years later, our lease in that location was expiring. We were faced with a decision of moving or renewing when an opportunity presented itself. 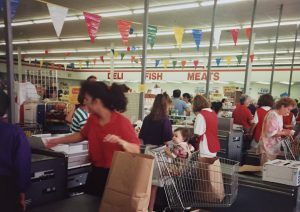 Three blocks west of our original Addison store was a shopping center with a bigger and better location for sale. 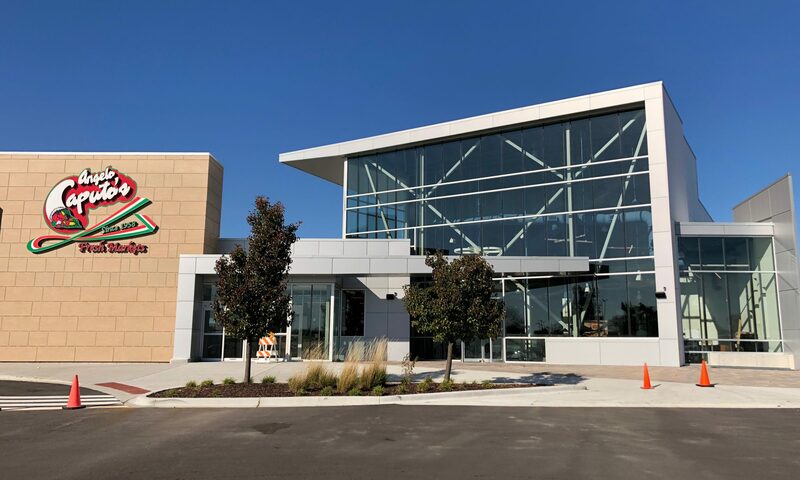 In 2001, we moved to the location where we are today, 510 Lake St. At 40,000 square feet, the new location was two times the size of the first Addison location. 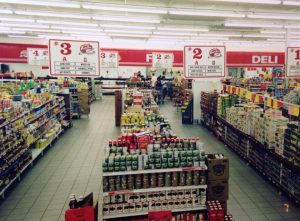 At that time, we had two other stores, the original in Elmwood Park and the 1996 addition of Hanover Park! 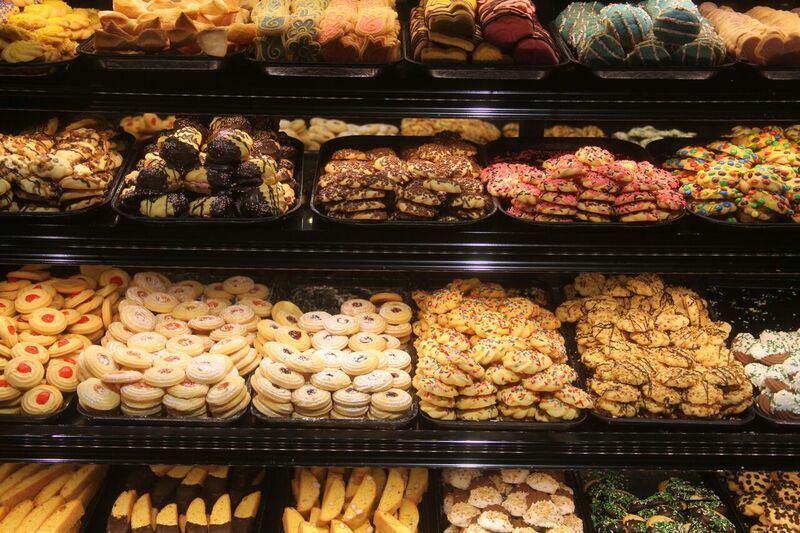 Hanover Park introduced new features in the store– a bakery and a hot foods section. The new Addison location allowed for us to add those features! 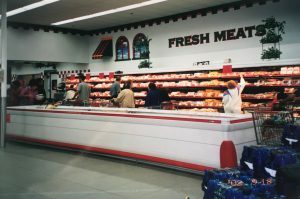 The hot foods area would allow people to sit and enjoy a meal together before and after shopping. The bakery highlighted delicious pastries and cookies all made from scratch! The size of the new store allowed us to add these new features and increase the size of all our other departments! That same feeling of excitement that came in 2001 has recently resurfaced as we decided to give Addison another makeover. Construction began on a new 10,000 square foot addition! 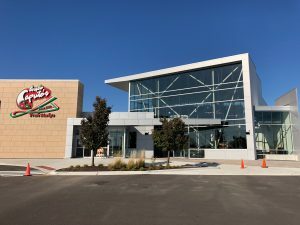 The new addition will bring what our customers love from our newest Carol Stream location to Addison as well as some other unique features! 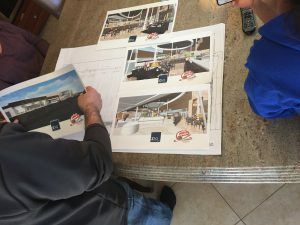 We will have an extensive hot foods department, a coffee bar, salsa and guacamole station, a tortilla machine, a bar, sushi made in-house, and more! While we have been working hard to add these new features, we have also been working to update the entire store. 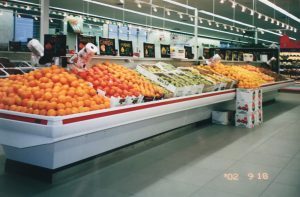 The apparences may look different, but we are still the same family owned grocery store looking to bring quality, freshness, and friendliness to you and your families! 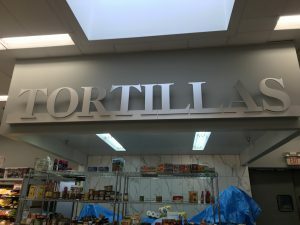 We thank all of our loyal customers for your continued patience and for sticking with us through this remodel process. We know the new layouts might change up your shopping routine a little. We hope that you are as excited as we are for these new additions! Fall is in full gear with Halloween being only weeks away. People are prepping for parties, picking costumes, and even beginning Thanksgiving meal prep. It is the time for sweet treats to take center stage as they are a staple in all the upcoming festivities. A treat that has a perfect mix of health and deliciousness are caramel apples! 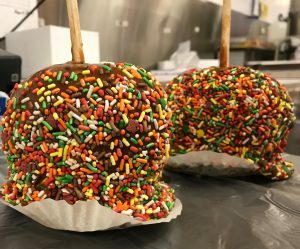 Caramel apples came about in the 1950s when Dan Walker, a sales representative for Kraft Foods, was experimenting with leftover Halloween candies from the company. It was a pretty simple combo as all he did was melt down some of the remaining caramels and then dip apples in them to create a crunch. He did not know it at the time, but he was creating a dessert that would become a fall favorite. Dan Walker’s simple creation has evolved in many ways. 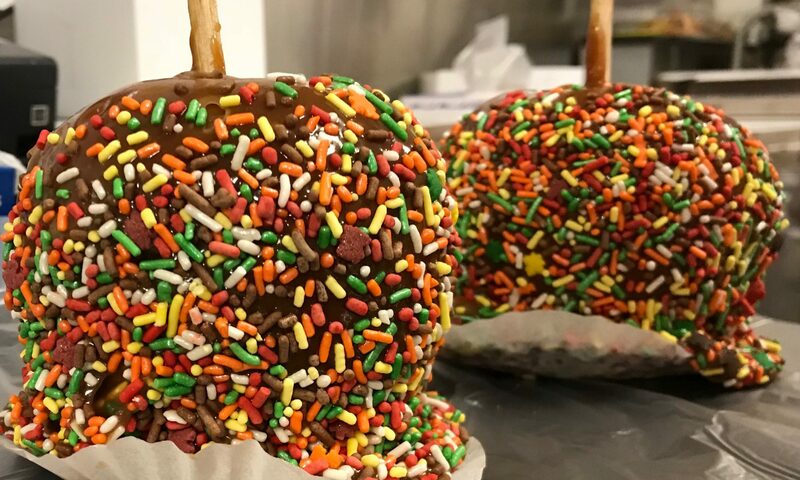 Today, there are many different apples, caramels, chocolates, and toppings that go into making more complex caramel apples. At Caputo’s, we believe in simple, fresh ingredients. We use this to make our own caramel apples! Our process starts with the apple. We want the juiciest apples for this dessert, so we use honeycrisp apples! Our honeycrisp apples come from farms around the US, usually Michigan or Washington. Honeycrisp apples range in size from medium to large and are characterized by their incredibly sweet flavor with subtle tart underlyings. Honeycrisp apples, sometimes called honey crunch apples, have a reputation of being one of the sweetest apples. The sweetness and subtlety of tartness compliment each other to make a juicy apple, perfect for dunking in caramel! The next step of the caramel apple process is the main event– the caramel! We prepare to dunk the apples by putting a stick in the core of the apple. We take caramel and melt it down, then submerge the apple in caramel. After the apple is properly and fully covered, the toppings get added! We use a variety of toppings like sprinkles, nuts, and chocolate candies. No matter what topping, the caramel apples are the perfect treat. The sweet, crunchy apple mixed with the decadent, soft caramel and the fun variety of toppings makes for happy and satisfied taste buds! Stop by and get one to test out for yourself! Don’t forget that October 31st is National Caramel Apple Day! Be sure to enjoy a caramel apple while getting ready for trick-or-treating! Fall is in the air! 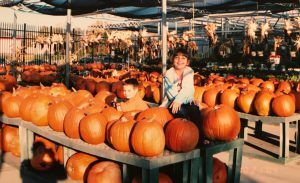 As soon as October approaches, people are gearing up for all the fun fall festivities there are to do– hayrides, haunted houses, seasonal drinks, and so much more! 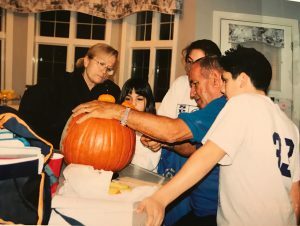 A favorite amongst the Angelo Caputo family was picking and carving pumpkins thanks to the unique way our founder and my grandfather, Angelo Caputo, did Halloween! Our family always had a unique way of carving pumpkins. 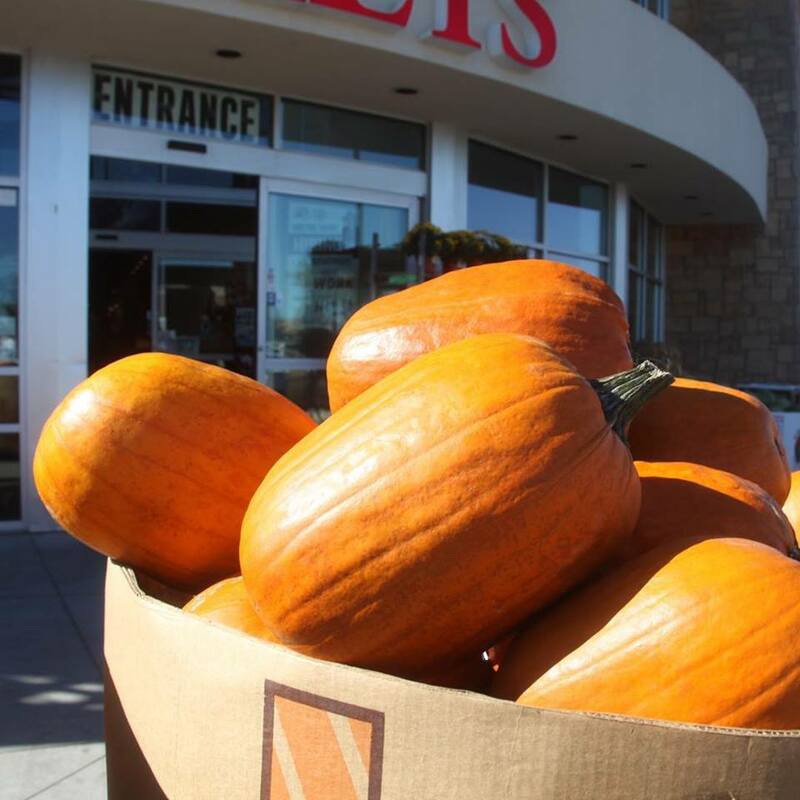 We wouldn’t carve pictures into the pumpkin or make it a Jack O’Lantern, we had a different way of doing it which involved goodies from around the store! 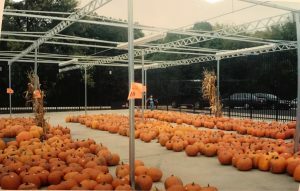 It would start with my grandfather taking us to Caputo’s to pick a pumpkin. 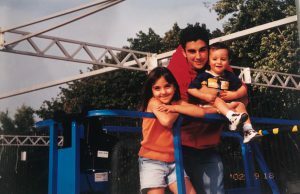 There were so many to choose from and Nonno Angelo would help us pick the perfect one and then load it into the cart. 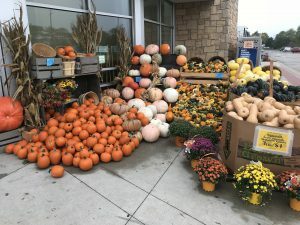 After we picked out our pumpkins, we would go around and find different foods and props for our pumpkins to make faces! 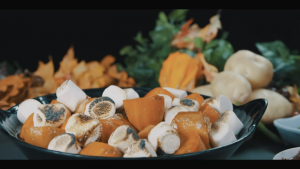 We would get things like chestnuts or lychee for the eyes, a gourd or a pepper for the nose,smaller pumpkins or corn husks for the ears, hay for the hair, and no pumpkin was complete without a carrot as a pipe! We could come up with any crazy idea and Nonno Angelo would do it for us. When we got home from picking up our tools and ingredients for our pumpkins, my parents and Nonna Romana were waiting for us with the kitchen ready! The first thing we would do is cut open the top and clean the insides of the pumpkins. 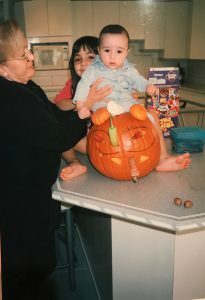 We would separate all the seeds and give them to Nonna Romana so that she could roast the pumpkin seeds. We would let them soak in some water so that all the pulp would come off. Then Nonna would salt them, put some olive oil, and put them in the oven! While she was doing this, we would be helping direct the carving! The adults would cut the holes and we would put the food in the proper places. After that, we would draw or paint all the finishing touches on our pumpkins! We have a fun Halloween tradition, what are yours? Do you have a unique way that you carve pumpkin or think your design is the best? 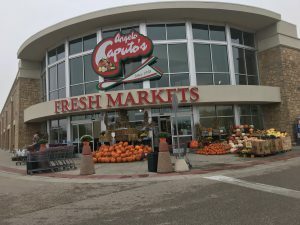 Stop by Angelo Caputo’s Fresh Markets, pick out your perfect pumpkin, then send us a picture of you and your creation! Email your pumpkin carvings to events@caputomarkets.com and the coolest pumpkin will win a $20 gift card to Caputo’s! The finalists will be put to a vote and the winner will be contacted by email. 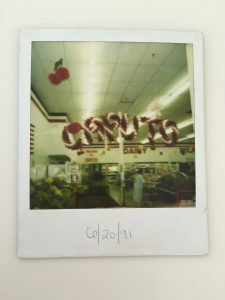 Submit your pictures to events@caputomarkets.com before October 29th at 2pm for a chance to win! 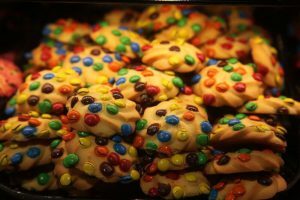 Cookies That Will Bake Your Day! 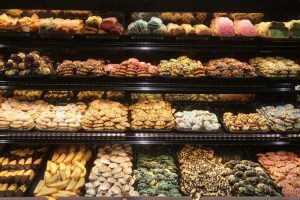 It’s always a nice surprise when you are going to a friend’s house and see a tray of cookies, it’s even better when you see a tray of La Bella Romana cookies! 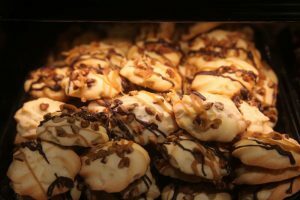 As with all of our bakery items, our butter cookies are made from scratch daily using only the freshest and simplest ingredients. A butter cookie is a relatively simple treat in order to maintain the flavors of the cookie itself. The foundation of our butter cookies are butter, sugar, and flour. Our butter cookies are very unique. The buttery flavor comes through in each and every cookie, and creates a sense of nostalgia that will transport you right to enjoying your grandma’s butter cookies around Christmas time. The good thing about our butter cookies is that you don’t have to wait for Christmas, they are readily available in all of our stores! 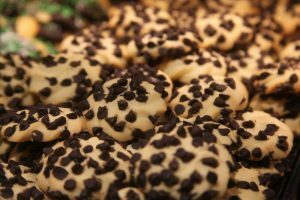 Each cookie is created with the passion our company was founded on.We want the customer to be able to taste the homemade qualities in each cookie that makes every bite tasty and each bite better than the last. Our butter cookies have the perfect crunch paired with the perfect softness. The butter makes the cookie melt in your mouth and gives you the ability to really absorb the delicious flavors. We have a variety of butter cookies. Some are chocolate and some are original. They come in different shapes and different toppings. Whether you like nuts, cherries, chocolate chips, or sprinkles– we’ve got you covered! We have cookie trays are sure to be a crowd please at any party of get together! Butter cookies are a perfect, go-to gift! We offer them in pre-packaged containers that make them easy to grab, go, give, and enjoy! If you’re in the mood for a sweet treat that is simple and satisfies, stop by our bakery and pick some up!